When it comes to family life, I don’t think one can be fully complete without a pet. I have had cats nearly my whole life and couldn’t imagine what it would have been like without them! 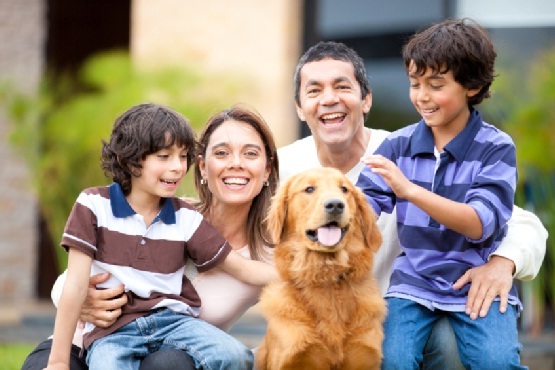 For many families finding a pet is a great way to give children a friend and a bit of responsibility, a way to keep up exercise if you get a dog, and to always see a happy face when you return home. There are things to consider such as the practicality of adding a new member and it is a good idea to carry out some research. If it is a fast paced household and there isn’t always somebody in the house, a cat is the best option. Cats are much easier to care of than a dog but they obviously still require feeding, a nice environment and loving owners. Make sure to check if anybody in your house has allergies to cats as this is quite common. Of course if somebody is allergic but you still want a low maintenance pet there are the options of choosing something like a rabbit or hamster but they do not give as much love back as a cat. If there is usually somebody in the house or only a short period of time when the pet will be alone, then a dog is an option to consider. They are a really popular choice and give the most back in terms of love and attention to their owners. There is a wide spectrum of breeds and it is good to find out some of the qualities that they possess, as a household with a baby or elderly people in it will not want something like a border collie that requires a lot of exercise. Larger dogs are more powerful than smaller dogs too, so if you live in a house with small children who want to be able to walk the dog, go for something smaller. Of course every individual dog has different personalities so visiting a shelter and meeting it will give a better feel. Whilst collie dogs are larger they are known to be gentle and easy to train which would be perfect. Also golden retrievers are patient, kind and smart which children would love. It is great to get kids involved when choosing but ultimately the final choice is up to the adults, and then get the kids involved again when it comes to picking all of the pet supplies to welcome your new pet home.